In: MOUAU Postgraduate Admission List – 2016/2017!!! MOUAU Postgraduate Admission List – 2016/2017!!! 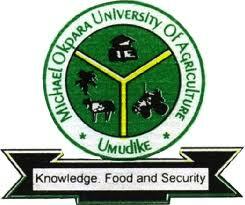 Michael Okpara University of Agriculture, Umudike, MOUAU Postgraduate admission list for the 2016/2017 academic session is out. The PG admission lists for Masters, Postgraduate Diploma (PGD) and Ph.D. have been uploaded to the admission portal of MOUAU. All candidates who applied for admission into various programmes available at Michael Okpara University of Agriculture, Umudike Postgraduate School can now check if they have been offered admission. You can check if your name is on the list by following the steps outlined below. For MOUAU Doctorate (PHD) admission list, click here. To check, click the applicable link above. On the page that opens log in with the online PG Application Number (/APP/…) to see if you have been offered admission.